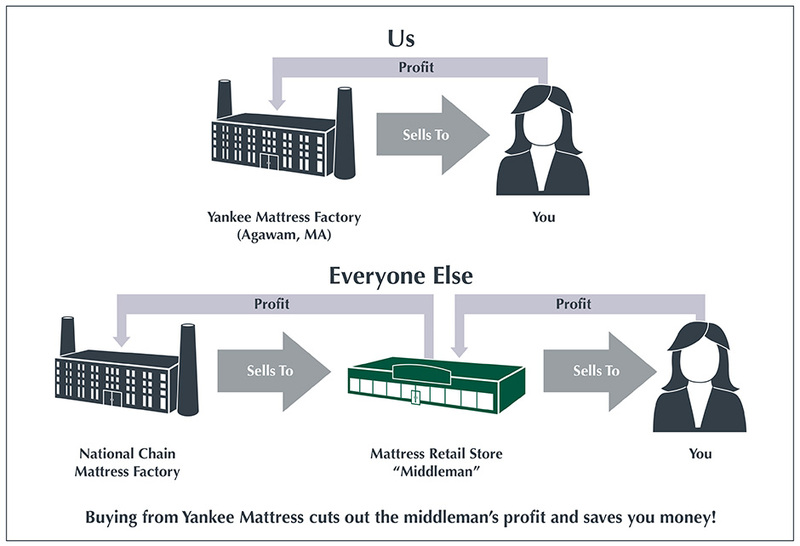 In our factory in Agawam, MA, we make our mattresses the old-fashioned way: by hand, using the most durable, plush and luxurious materials available. That’s it! There is no manufacturer to contact, no middleman to go through and no high overhead at our low-key stores. In this day and age of electronic this and technological that, we use our hands to place a mattress in yours. We think it’s a better way to do business.